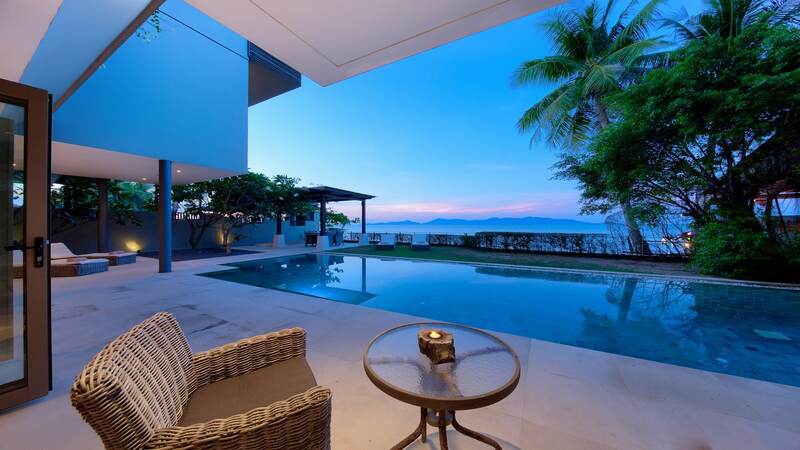 An outstanding, world-class villa set in a national park like setting on a huge land plot, with 200 meters of oceanfront property in Laem Sett, Koh Samui Thailand. 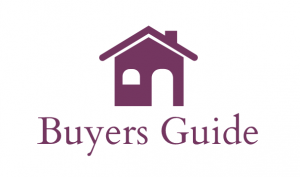 A truly outstanding property and a must view villa. ArrivalAs you cross the private gated entrance of the villa, a short driveway leads to a shaded parking area. This magnificent sea view property has to be seen to be believed. Located in Laem Sor, with towering views, this villa has some of the most stunning views in Thailand, set in the backdrop of a beautiful mountainside with ocean views out the front and mountain views behind. Fully furnished, tastefully equipped and decorated this house could appear in magazines. This stunning seaview villa is infused with the love its owners feel for their unique villa, for each other, and for Koh Samui's stunning natural surroundings. 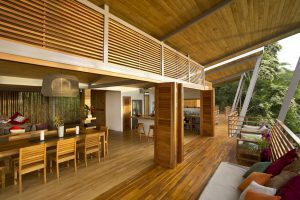 The villa's three comfortable bedrooms are connected to the living pavilion by a garden and a courtyard. Enjoy spectacular views and private balconies that can be enjoyed right from the bed through the full length sliding glass doors. 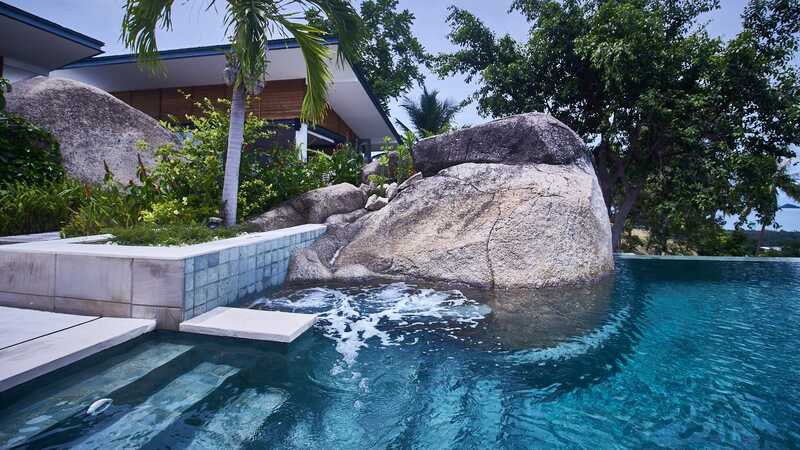 One of a kind property available very rarely on Koh Samui. Direct beach front 4 bedroom villa in Maenam, probably the best beach on the island for swimming and views. The villa is fully equipped with modern kitchen, all amenities, is a very short walk to Maenam walking street, shopping and all conveniences. 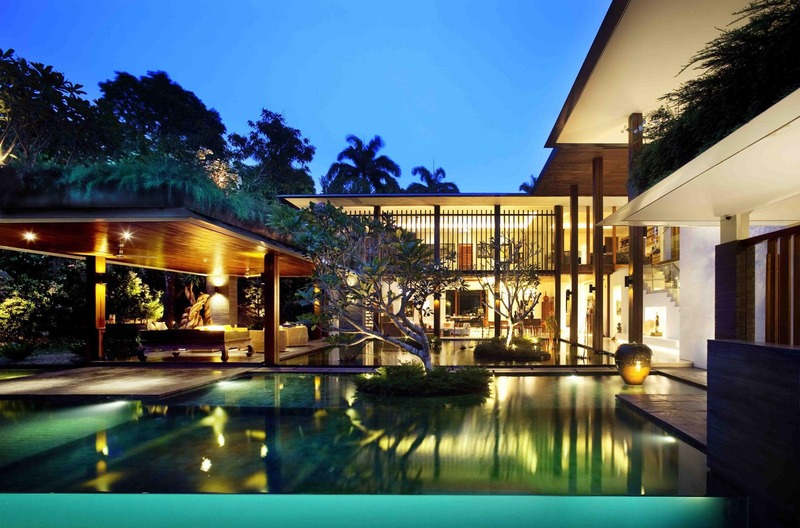 An incredible find, a one of a kind Seaview property finished in an outstanding mix of Asian influences. 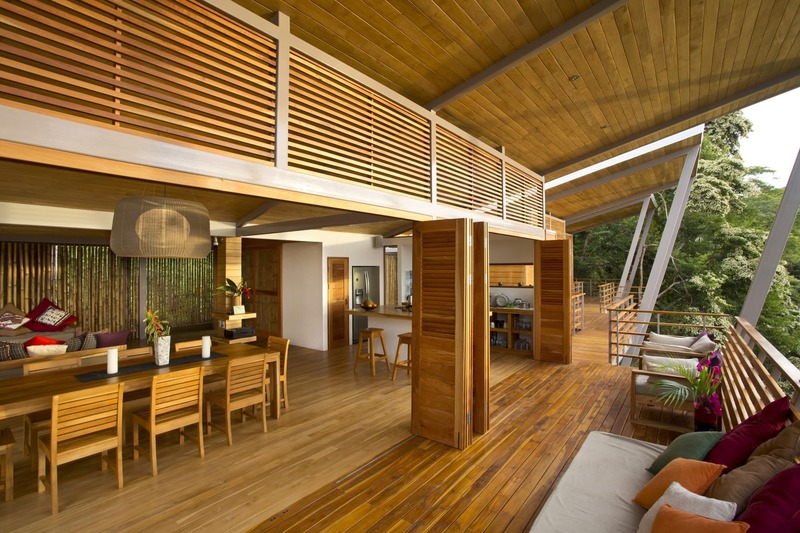 Furniture from China, India, Thailand and Indonesia make this property a sumptuous paradise for your senses. Feel right at home in your seaview swimming pool, with double kitchens and living area adjacent to the large outdoor terraces. One of the best central locations and very best views of Koh Samui. This range of ultra modern and absolute quality four bedroom sea view villas are for sale now. 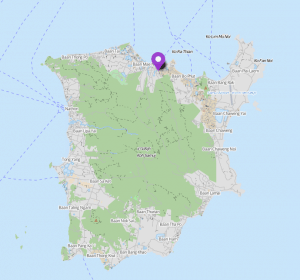 Five minutes to Airport, Chaweng and the beach. Thai inspired villa with western amenities located on a stunning sea view mountainside in Taling Ngam, in the beautiful Southwest corner of Koh Samui. 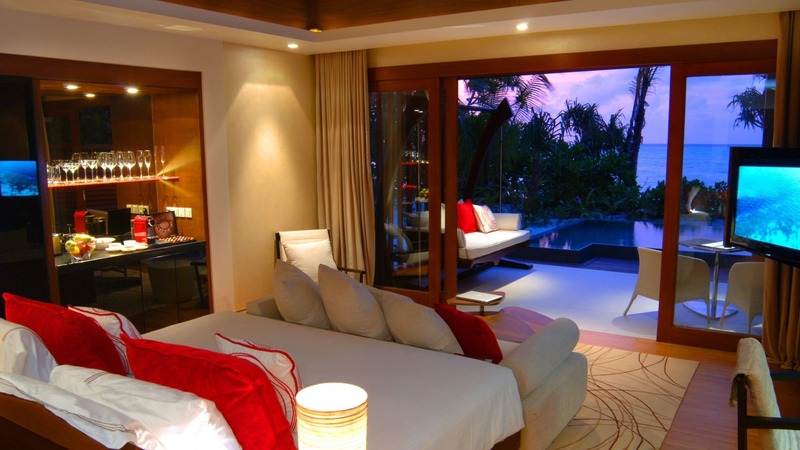 The villa features an amazing master suite with large walk through dressing area and jacuzzi spa bathroom. An expansive terrace, stunning views, private access and maids quarters. Mind Blowing Brand New Beachfront Villa. This absolutely stunning brand new three bedroom Beachfront Villa has to be seen to be truly appreciated.No expense has been spared and from the moment you enter the Villa it simply exudes an air of quality, design flare and a very open hip modern feel. 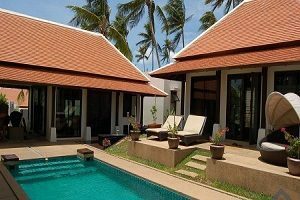 The Villa flows extremely well and i personally think it is one of the best value for money Absolute Beachfront Villas available on Koh Samui. 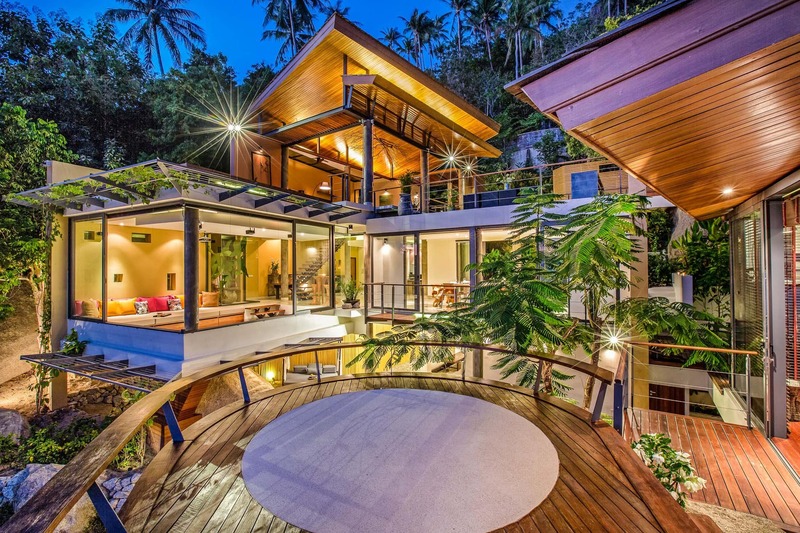 This tropical luxury villa located in Bophut, on the northern coast of the picturesque Thai island of Koh Samui. Minimalist, modern yet classic and plush, this serene hideaway spot is sure to help relax your body and refresh your spirits. On arrival, you are greeted by large carved wooden doors which only hint towards the Thai style and stateliness beyond. 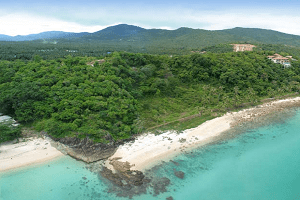 Remarkable properties, this villa project is located on the north coast of Koh Samui, with spectacular views over Plai Laem and onto Koh Som and Koh Phangan. Carved into the natural rock formations on a forested Koh Samui hillside, Waterfall Villa is an astonishing private residence that successfully blurs the lines between architecture and nature.Part of the peaceful Santikhiri Estate on the southern tip of the island, as soon as you enter this unique, inspired property you see why it lives up to it’s name. A waterfall cascades down a 14 m.
Amazing Opportunity! 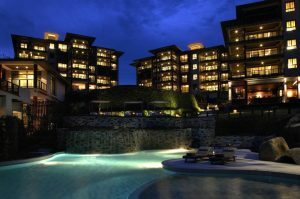 Villa resort for sale Maenam! 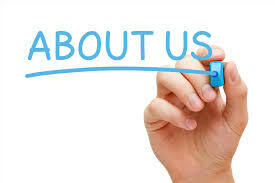 The resort comprises of 5 luxury self-catering villas and 1 studio apartment, as well as a separate 2 bedroom main house set within extensive gardens of 2.5 rai and featuring a freeform communal swimming pool surrounded by plush daybeds. 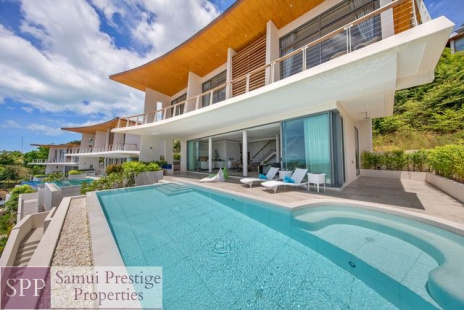 Located in the beautiful hillside of Maenam, Koh Samui, these beautifully designed and fitted villas feature only the best materials and construction.Seaview 3 to 5 bedroom sea view pool villas are just stunning. Conceived by Beach Republic Group, Azur Samui has been thoughtfully planned and superbly designed by award-winning architects M-System. 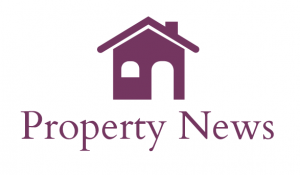 Modern brand new three and four bedroom sea view villas for sale now in Chaweng. 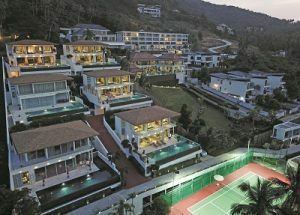 One of, if not the best high-end luxury gated villa Estates on Koh Samui.This range of Villas have to be seen to be truly appreciated, the quality of construction is second to none and the views are literally mind-blowing.Huge open plan living, dining, and outdoor entertaining areas, private pools and much more. This stunning new FULLY COMPLETED development located in Bang Por, Koh Samui, has to be seen to be appreciated, magnificent sea views. 3 and 6 bedroom pool villas are available now and ready to move into or rentThe finish and workmanship of these villas is second to none. Absolutely magnificent Balinese style three bedroom, four bathroom pool villas in a very private and secluded cul-de-sac in Maenam, Koh Samui.Beautiful very tranquil location yet only a few minutes drive to Maenam markets, shopping bars and restaurants and of course the stunning white sandy Maenam Beach and walking street. Great location. Stunning brand new three bedroom Luxury Villas available now.Located in a beautiful setting, a hillside seaview jungle in Lamai, Koh Samui.Beautifully finished, open plan living, dining and entertaining areas, private swimming pools, fully landscaped tropical gardens and much more.